Efco's MTH 5600 21" petrol chainsaw is an ideal homeowner chainsaw for the more demanding user. It features a 51cc two stroke engine & Oregon cutting system for rapid cutting. 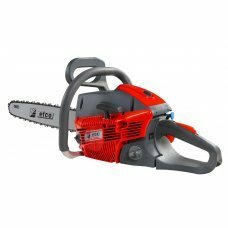 This chainsaw falls under the Medium Power Range of Efco chainsaws.